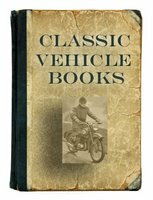 Allen Kingston car books includes the history of Albert F. Rockwell and his company that manufactured the Allen Kingston automobile. The Allen Kingston was an American automobile manufactured by the New York Car & Truck Company for motor agent Walter C. Allen of New York City. The New Departure Classics by Chichester Weldon (1986). History of the maker of Allen-Kingston and Houpt-Rockwell cars. The story of the New Departure Company, which revolves about the character, persistence, and vision of Albert F. Rockwell, who became one of the leading industrialists of Bristol, Connecticut, during the early part of the 20th century. He developed the Rockwell Public Service Cab, which became the first Yellow Taxi Cab in NY, the Allen-Kingston and the Houpt-Rockwell car.